His national security team had been trying to box him in like every other president. But he called their bluff. The mainstream media has attacked President Donald Trump’s decision to withdraw U.S. troops from Syria as impulsive, blindsiding his own national security team. But detailed, published accounts of the policy process over the course of the year tell a very different story. 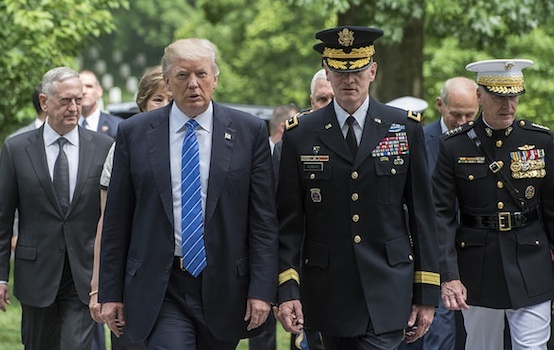 They show that senior national security officials and self-interested institutions have been playing a complicated political game for months aimed at keeping Trump from wavering on our indefinite presence on the ground in Syria. WNU Editor: I would not be surprised if this is the definitive account on what led to President Trump making his decision to pull out of Syria. I would also not be surprised if this is what is happening with Afghanistan right now. This is my must read post for today. Spices. Soil. Scraps of Paper. These Are the Objects Unidentified Migrants Left Behind.